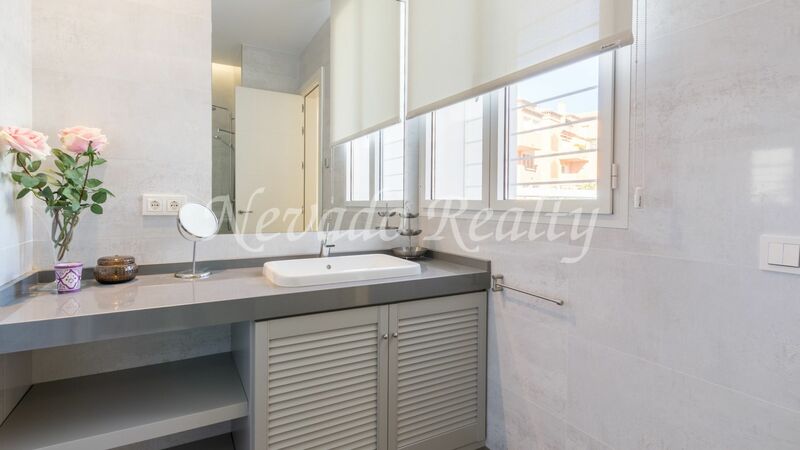 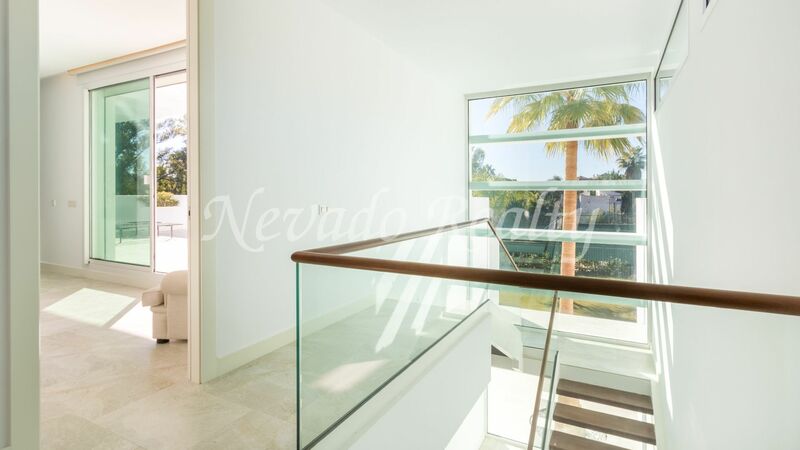 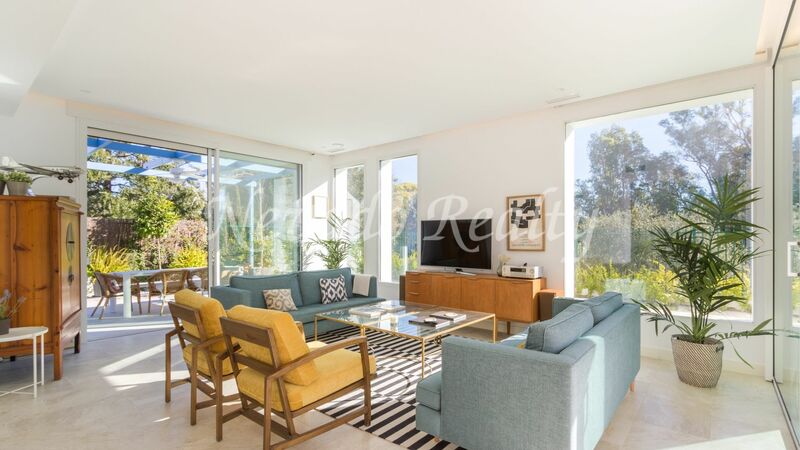 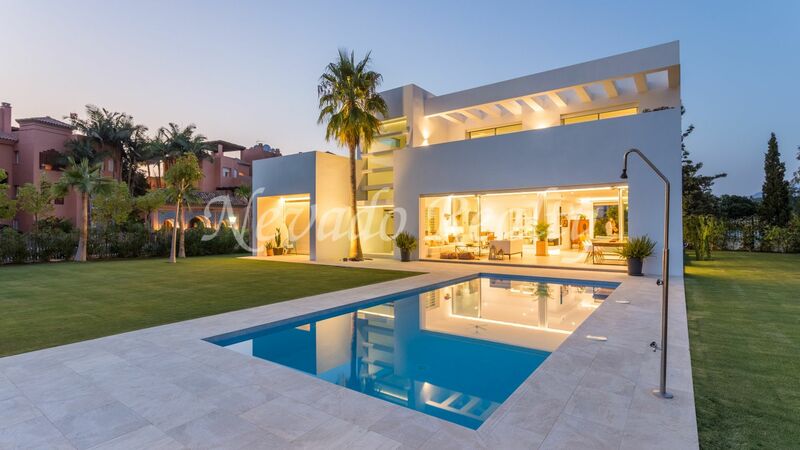 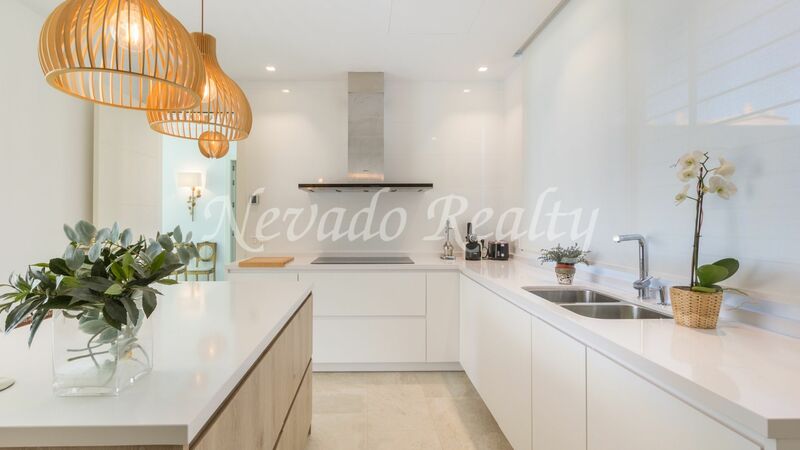 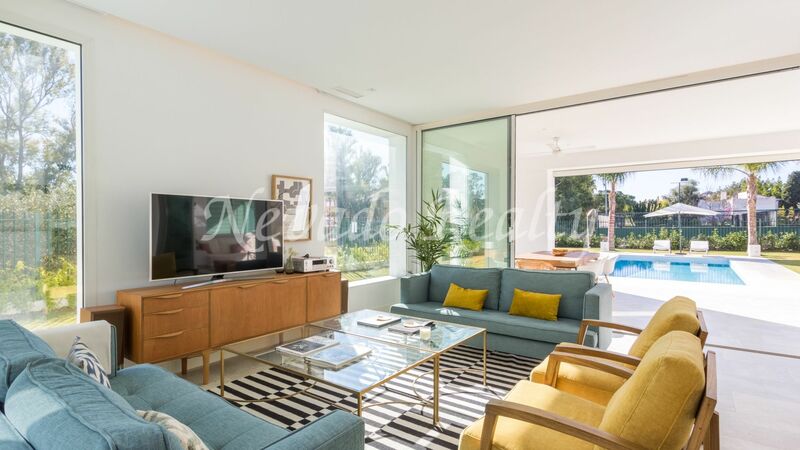 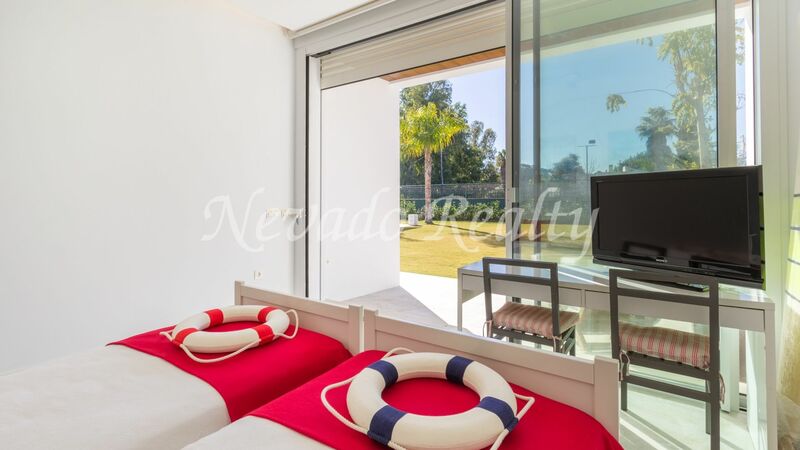 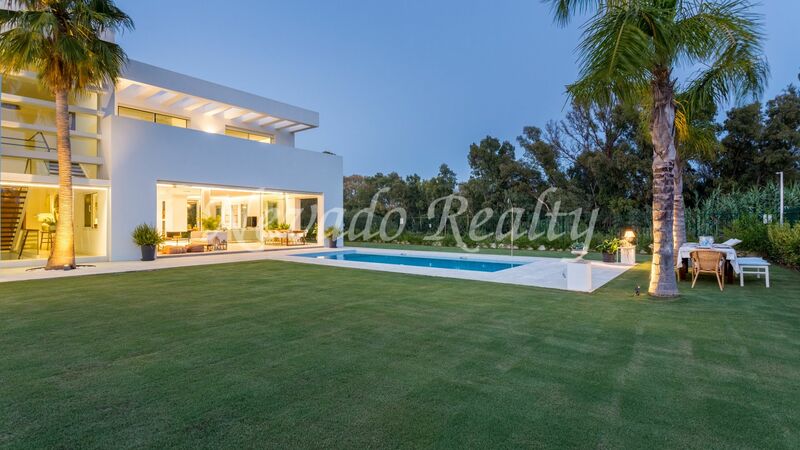 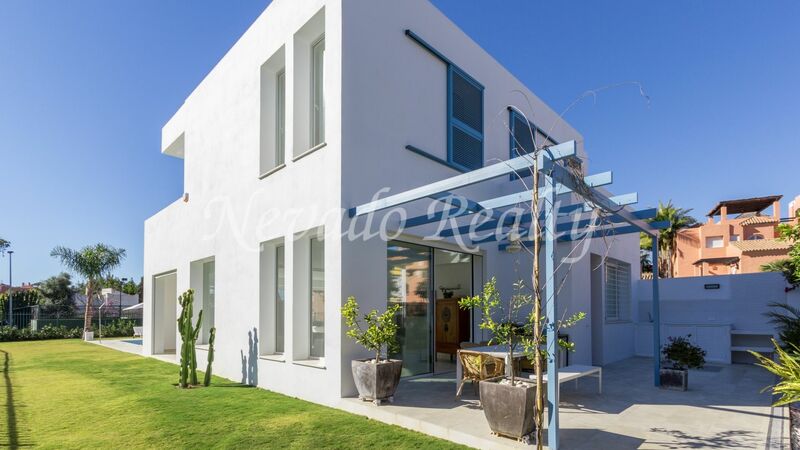 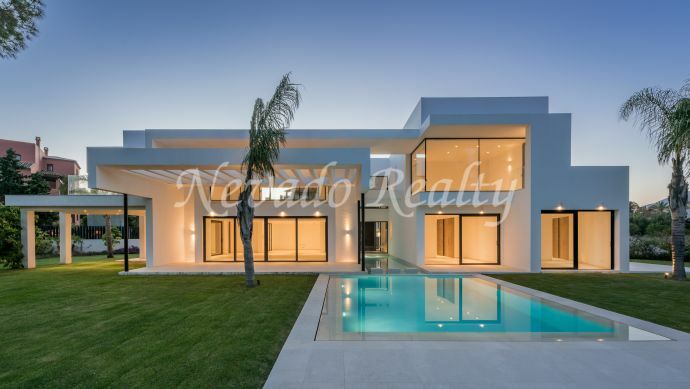 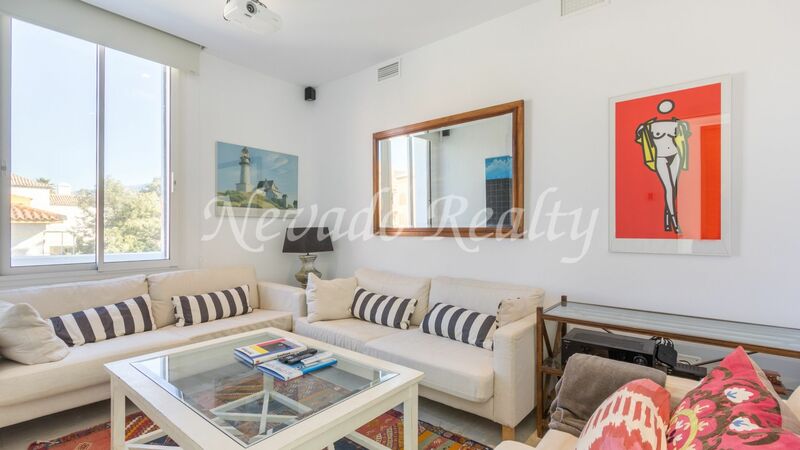 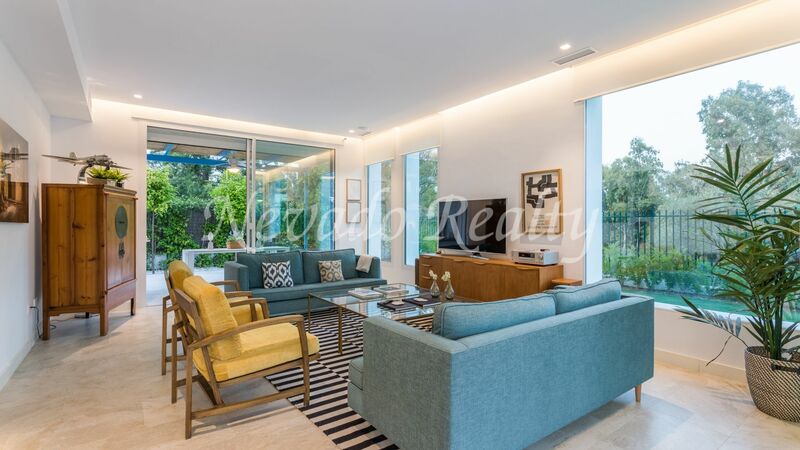 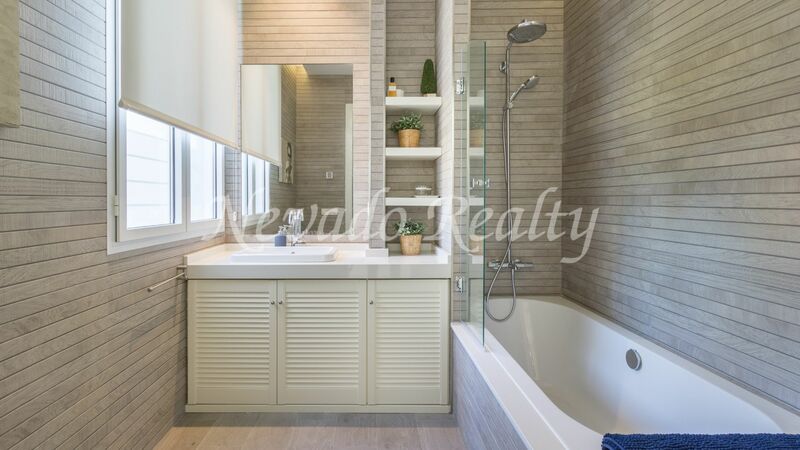 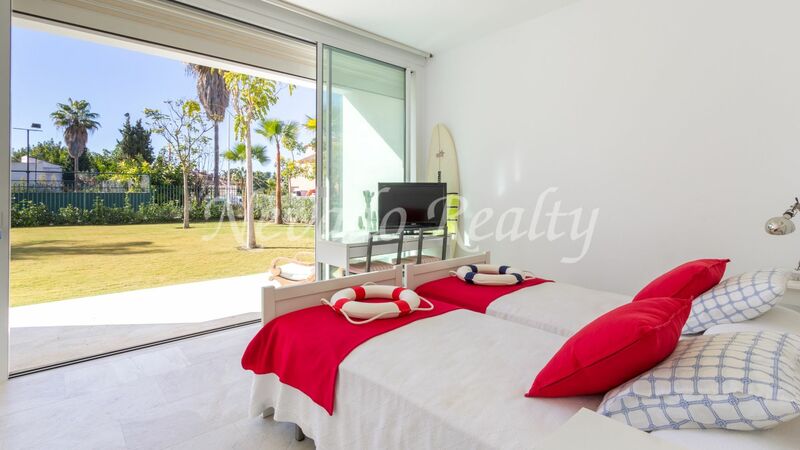 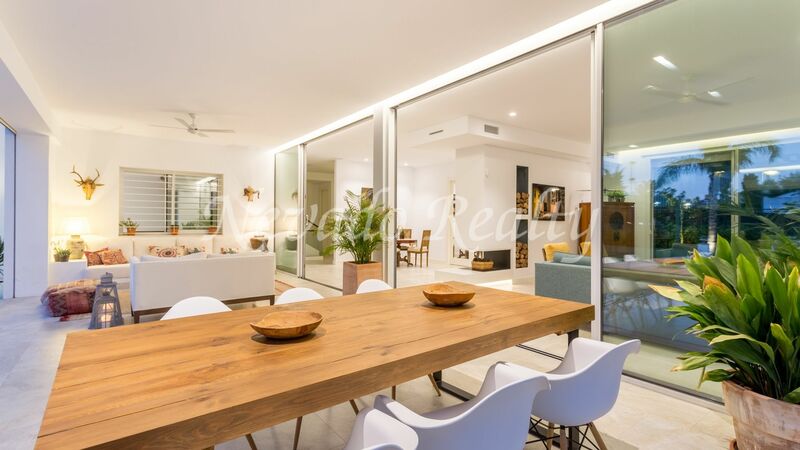 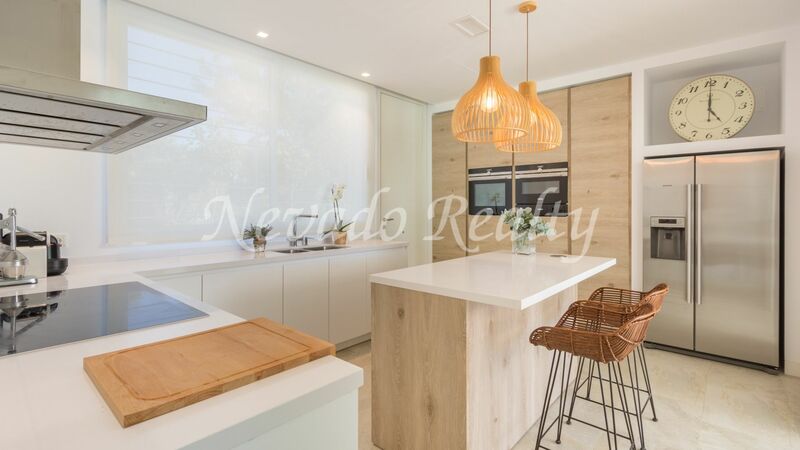 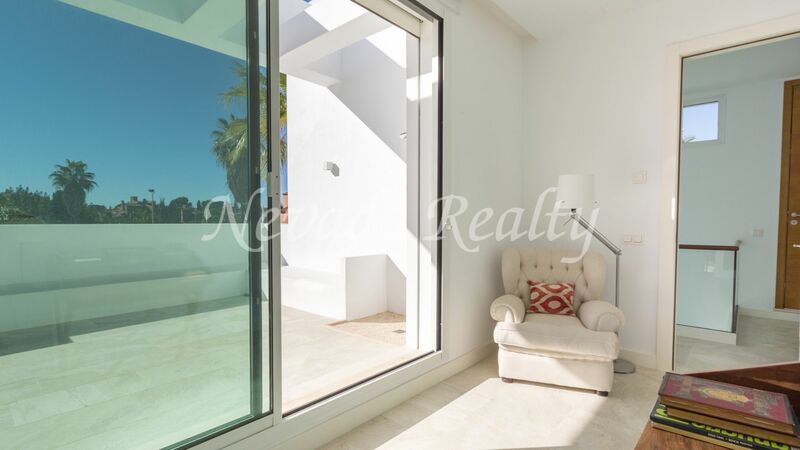 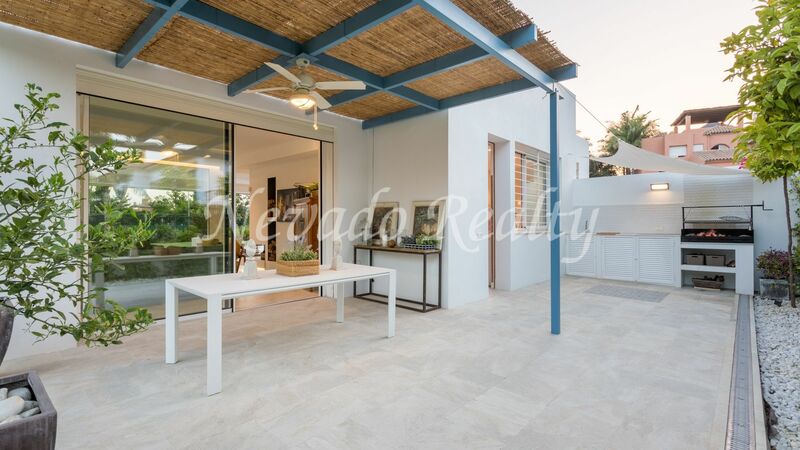 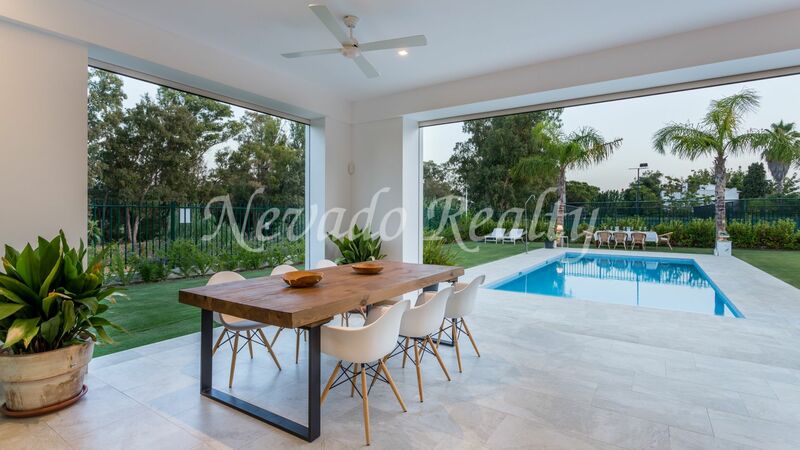 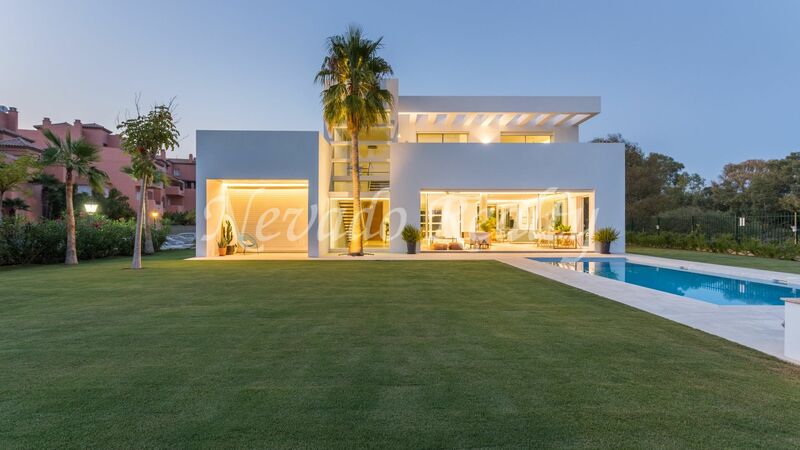 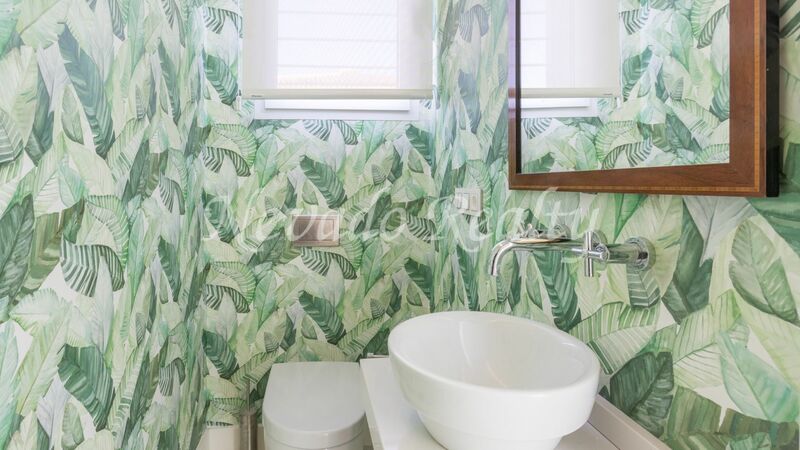 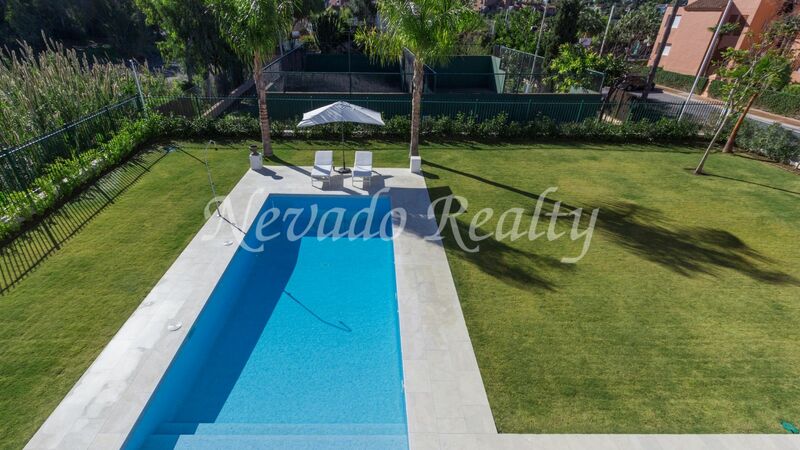 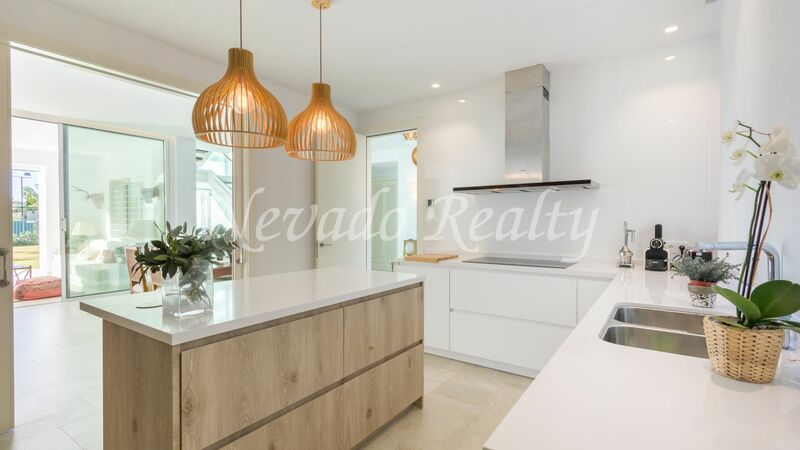 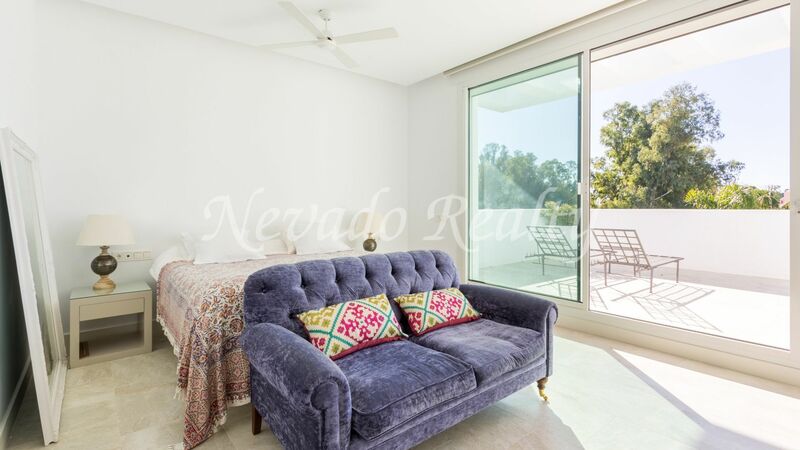 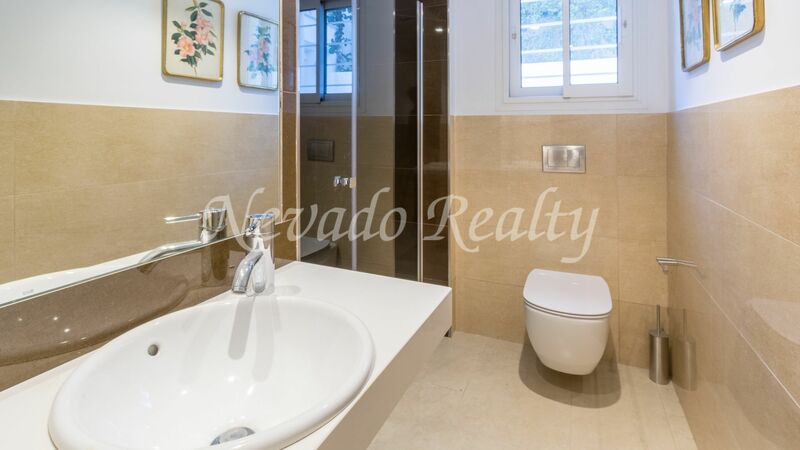 Brand new contemporary villa a short walk from the beach in Casasola, a sought after and quiet urbanization next to Guadalmina Baja with all services and facilities just steps away from golf courses and schools. 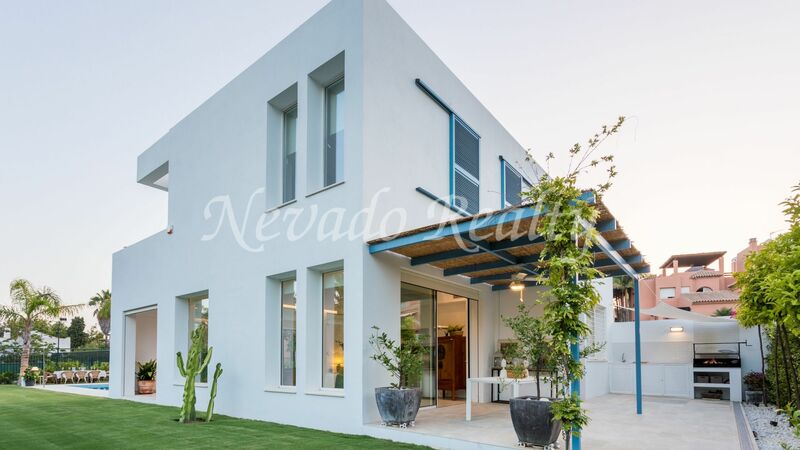 The newly built villa is south facing and has been built on 3 levels with the best qualities on the ground floor with entrance hall through a spectacular pivoting door, living / dining room with large windows, exit to the covered terrace with views of the garden with fruit trees and the private pool; two large bedrooms en suite; fully equipped kitchen with Siemens appliances, island and exit to the terrace with barbecue; guest toilet. 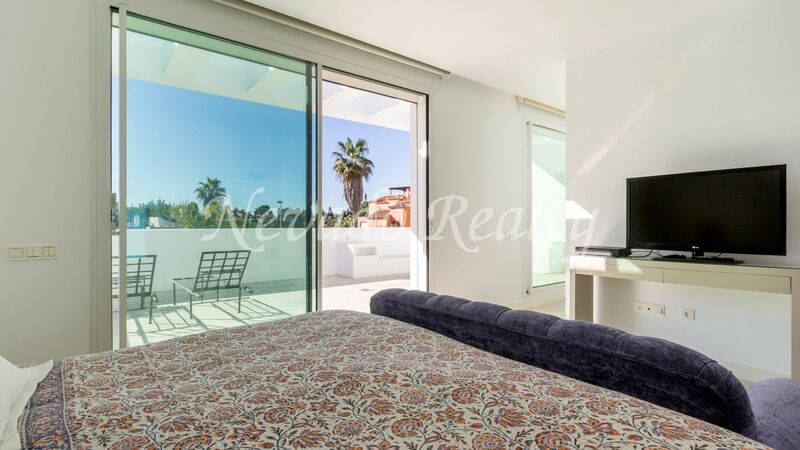 On the top floor, we find a TV room with home cinema and the master bedroom suite with a private terrace. 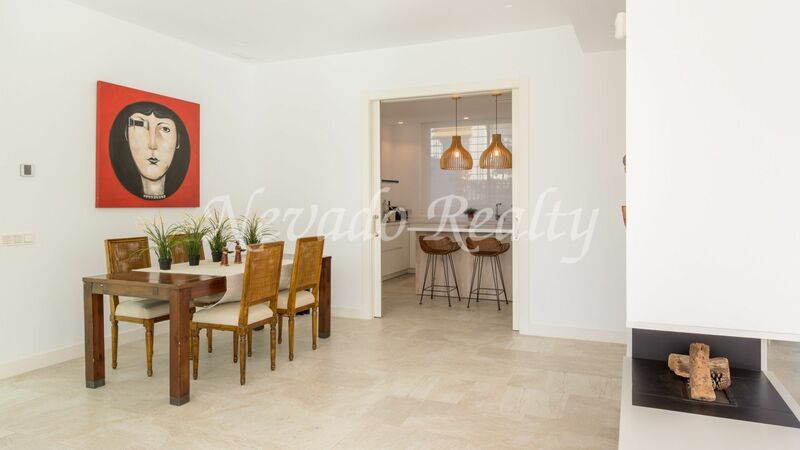 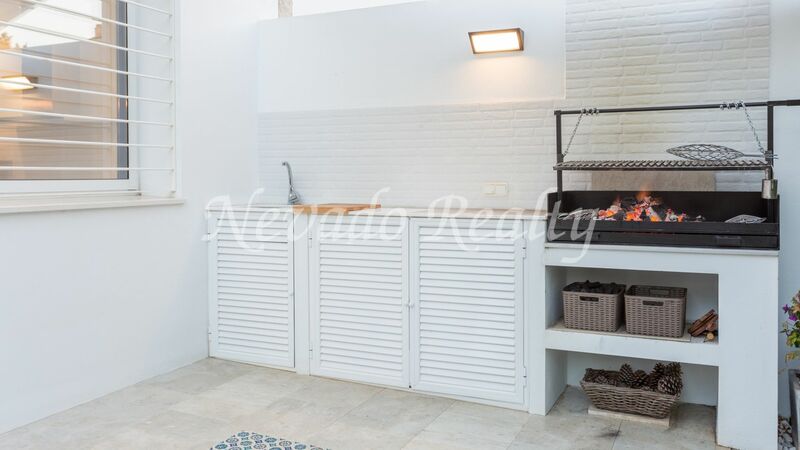 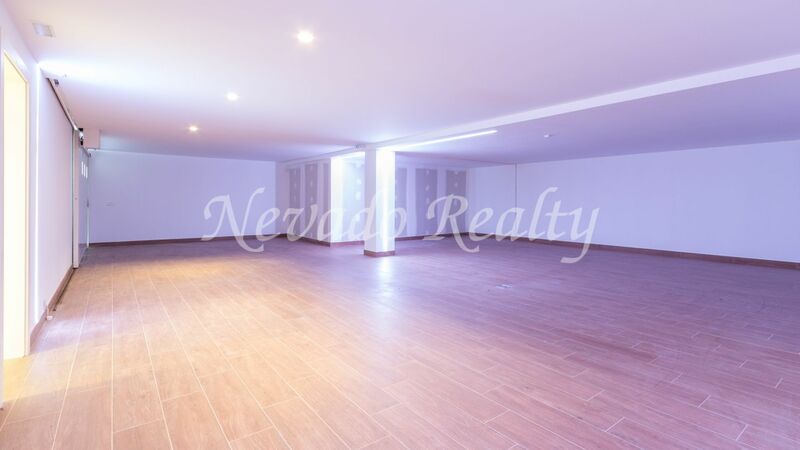 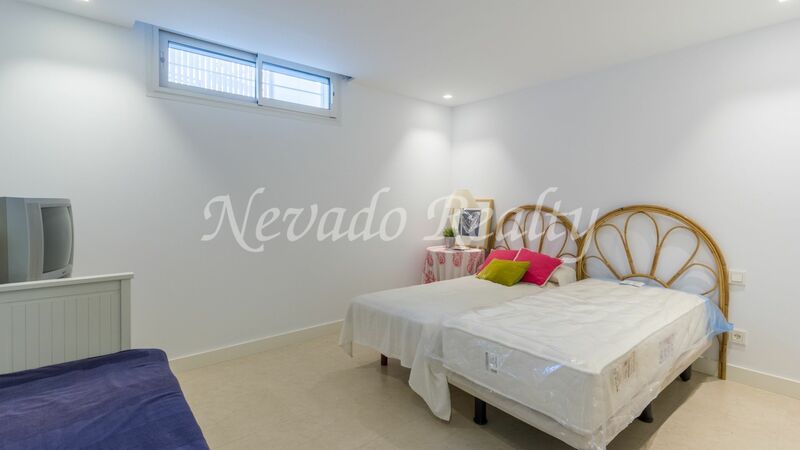 The basement with 115m2 includes service bedroom, laundry, cellar, machine room and garage with space for 5 cars. 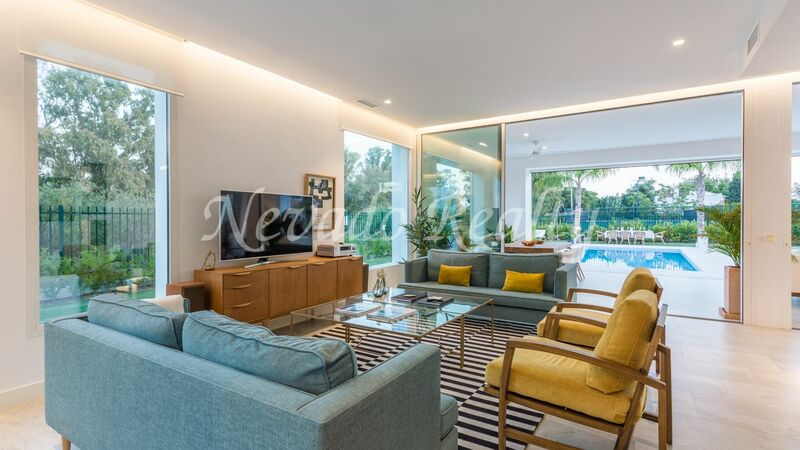 Additional features are security cameras, home automation, underfloor heating throughout the house, electric blinds, solar panels for hot water, LED, A / C Daikin and heat pump, the possibility of exhausting the building up to 60m2 in the upper floor. 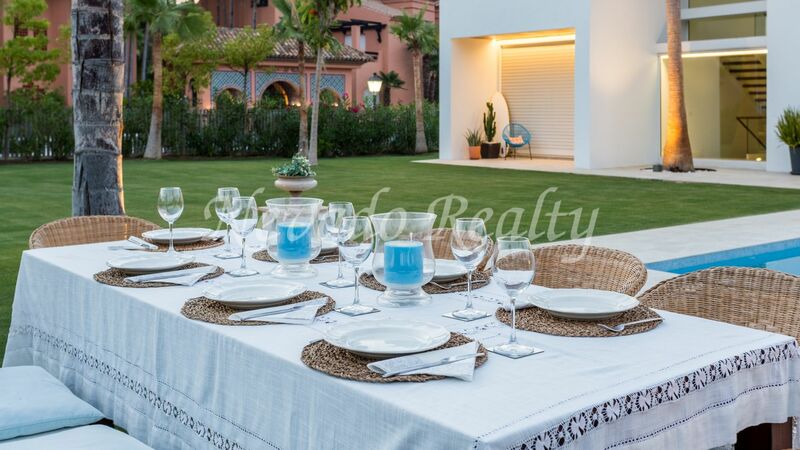 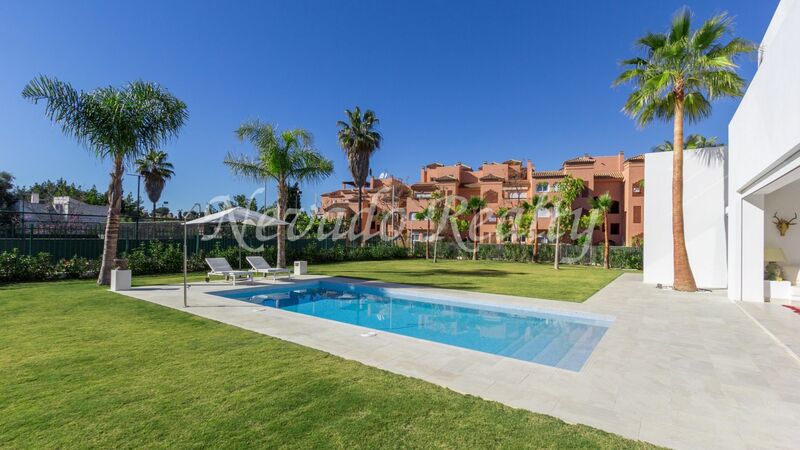 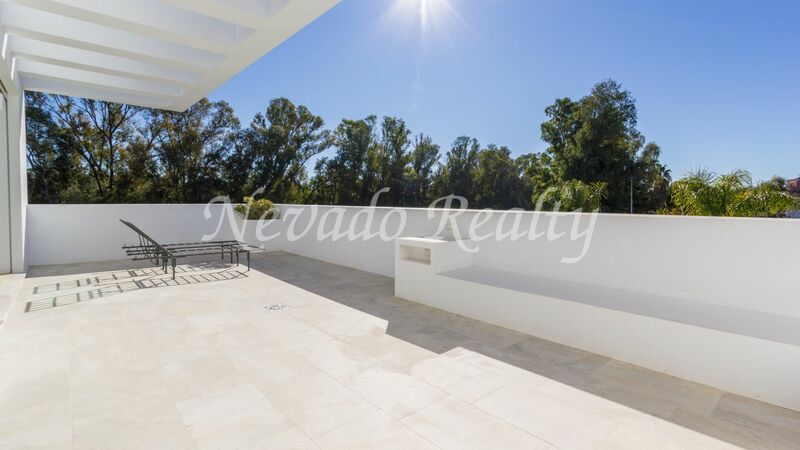 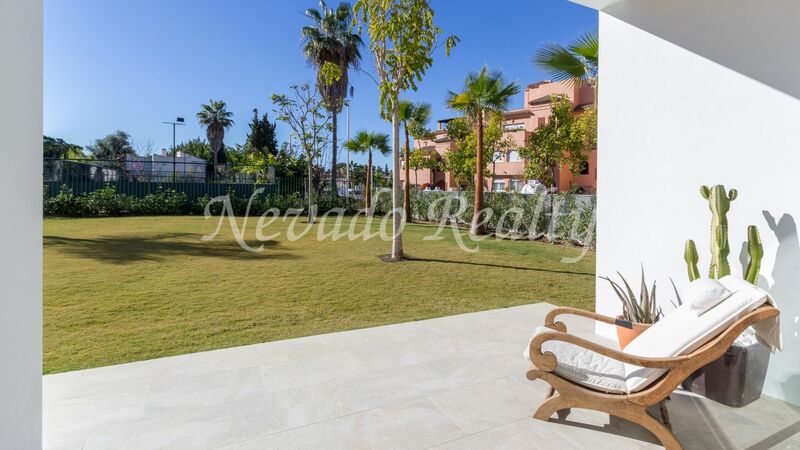 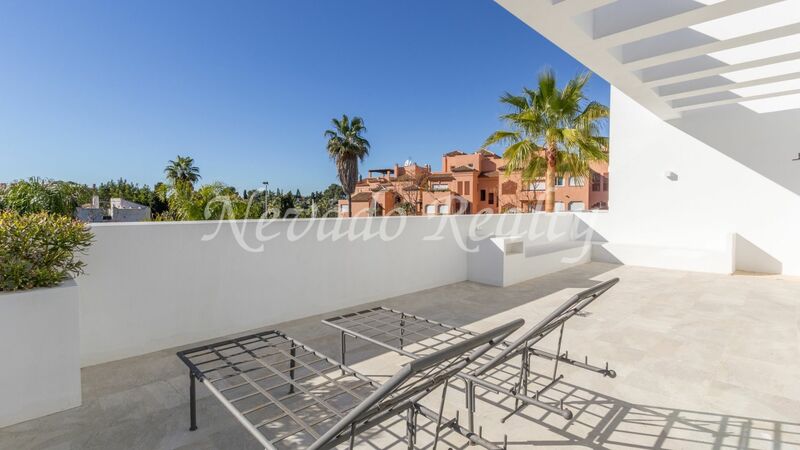 Please send me more information about ref 163-02715P, Villa in Casasola, Estepona Or similar properties.